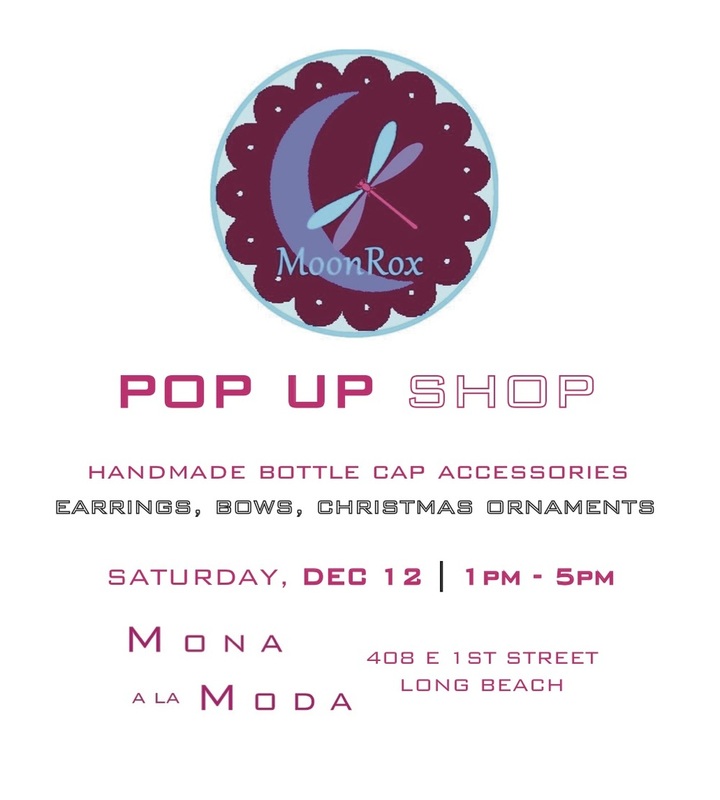 Join us this SATURDAY, DECEMBER 12th for a POP UP SHOP by Moon Rox. This Holiday Season give a handmade item from a local artist! Stop by between 1pm - 5pm to enjoy our pop up event of unique bottle cap accessories: earrings, bows, & Christmas ornaments (we hear there will be complimentary cupcakes!). Our local 2nd Saturday Art Walk is also taking place this Saturday, it starts at 4pm. Come out to enjoy a local event at the East Village neighborhood in Long Beach. It is so exciting to announce our little shop MONA A LA MODA has just turned two! The past few years have gone by too f a s t ! ! ! How lucky we feel to be a part of a supportive community, The East Village Art District. In celebration of turning two, we decided to re-launched our website! We have reached many people within our community; however we are ready to reach out to those who have been requesting we go live! Through social media we have been able to gain followers and new customers interested in shopping with us. Now with our website going live soon, we'll be able to meet those requests and connect with all of our followers. Thank you for the loving support through out the past two years, looking forward to another year of celebration and growth.